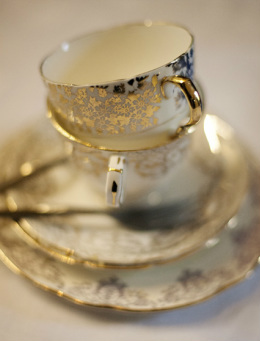 Vintage crockery for hire for any occasion. Christenings, weddings, birthdays, hen parties and baby showers can all be made a little more special with some beautiful china. All you need to give us is the number of guests, the address and the date and time. We will do our best to match a particular colour scheme although the individual crockery will be mismatched - for us, that is all part of its charm. We have a range of standard hire packages or we can help you put together your own bespoke package to give you exactly what you want for the occasion. Here are some examples of prices. We'd love you to come and visit our showroom in the heart of historic Warwick to discuss all the details over a cup of tea. Please phone or email before to make sure that we are there to see you - we might be out delivering lovely things & don't want to miss you! Here are all our contact details.